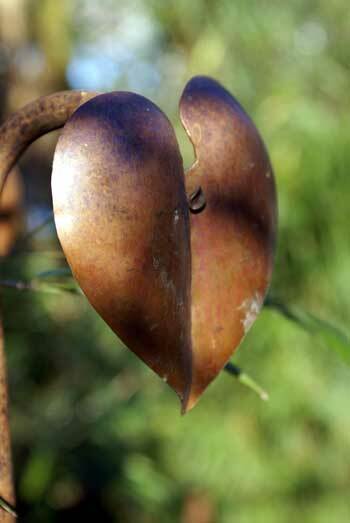 The rusted iron rose support, is constructed from solid steel and is topped off with four, hand-beaten copper leaves. 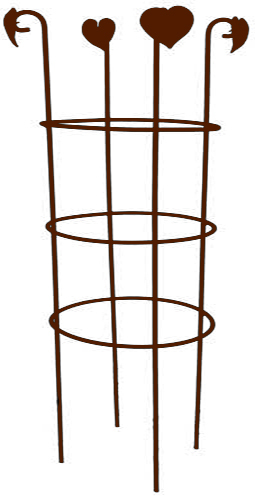 Ideal for supporting larger plants, such as Roses, Delphiniums etc. The rusted iron plant support has been left has been left uncoated,so it will quickly form a natural a natural oxide (that's rust to you and me). As it is constructed from solid steel, this process will continue for a very long time, giving many years of service. 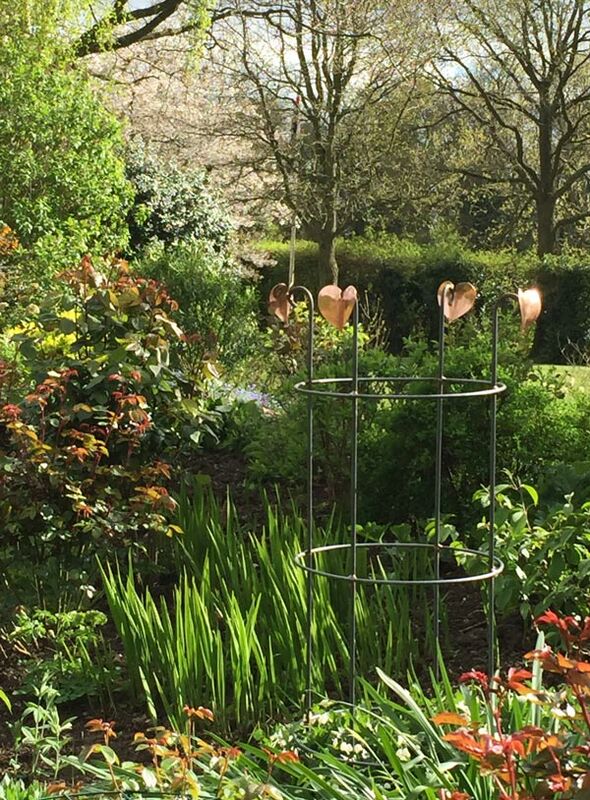 It will also ensure that your plant support will look completely at home in the garden and will soon give the impression that it has always been there. Constructed from solid steel to ensure it lasts for many years.